CPLC is please to announce that Dr. Syed's work is recognized just eight months after joining Abbot Laboratories. 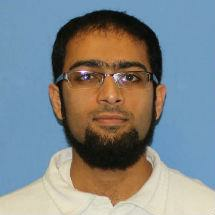 Dr. Syed received his postdoc at the University of Illinois in Biophysics and Computational Biology in 2013. His research in Dr. Ha’s lab on single-molecule fluorescence contributed to the body of work for his thesis, “Investigating the Unwinding Mechanisms of Replicative Helicases Using Single-Molecule Fluorescence Resonance Energy Transfer (smFRET) Methods”. Salman Syed, Ph.D received the 'Abbott Excellence Award' for his work on troubleshooting and finding an alternative way of testing a product to ensure its smooth launch. He joined Abbott Laboratories, Diagnostics Division as a Senior Scientist in research and development in 2014.